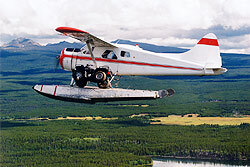 Floatplane hauling a canoe on the floats. 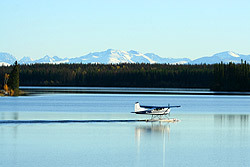 Northern pilot in for a fuel stop. 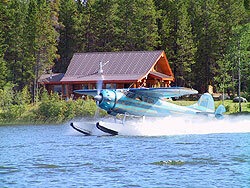 Private plane taxiing out prior to take off. 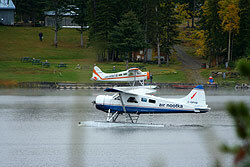 Planes parked at our dock. 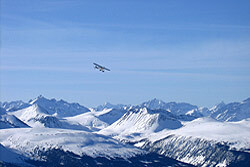 SuperCub flying over local mountains. 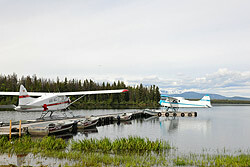 Planes parked in front of Wilderness Rim. 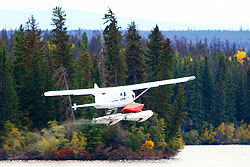 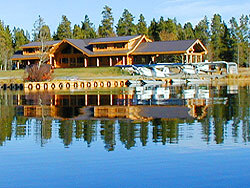 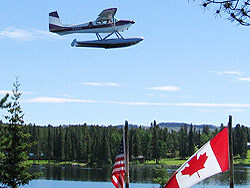 Taking off of the South Arm of Nimpo Lake.